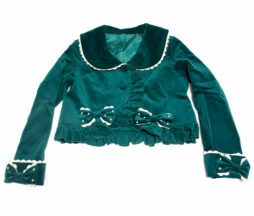 This is a super cute jacket with white lace and bow details, and it’s in a really cool color! 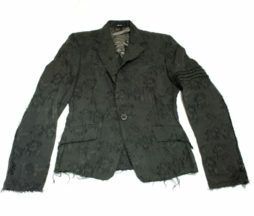 Jackets like this are perfect for making awesome coords with skirts or for putting over a JSK or OP. 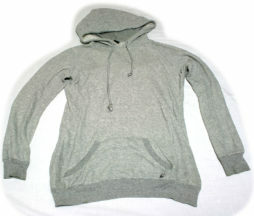 This item was bought used but was never used by me and I can find noticable defects. 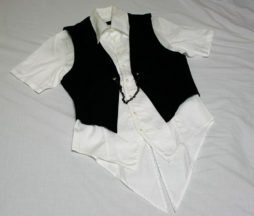 This item was purchased from the now closed H. Naoto Heaven store in Harajuku several years ago. It is from one of the H. Naoto sublines known as GRAMM, which uses a lot of lacey details and layers. This hat was a one of a kind item for sale in the store only. 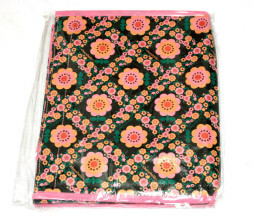 It has been used on several occasions and stored on my clothing wrack for some time. This item shows age. 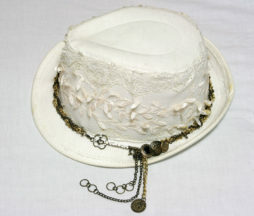 The glue used in some places, as well as rubbing from the chain detail, has started to yellow the fabric, but considering the color scheme of the hat and the whole style of GRAMM, it looks natural. The puffy leaf laced also has some naturally occuring damage where the casing has come open a bit to reveal the yellow inside. The hat is really awesome and full of cool details! Please have a look at the pictures. Brand new and unworn. This is a very unique Blazer. 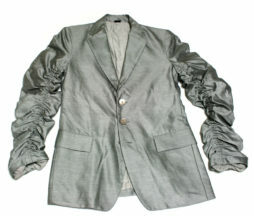 Silver color with sleeve gathering, an interesting outer layer when paired with drapey outfits. The gathering is done with elastic so there is plenty of stretch and flex for movement. 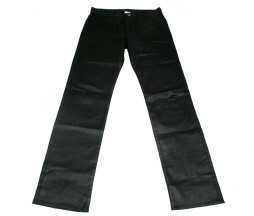 Wax coated heavy cotton pants, the wax rubs off with wear and tear giving a distressed look. These have been worn a few times and there is significant wear to the seat from riding a bicycle. Being that the wear is limited to only the seat I would recommend using some fine grit sandpaper to carefully remove the coating in other strategic areas to give a more coherent look / wear pattern. These pants match the waxed cotton jacket which is also for sale here on the shop. If bought with the jacket I’ll throw these in for $15, leave a note in the order details or shoot me an email before buying if you’re interested in both items. Brand new and unused. This would be great for a meet up or small picnic in the park! Or for camping out for a reservation at Angelic Pretty?? Comes with carrying case for easy transport! Brand new in package. 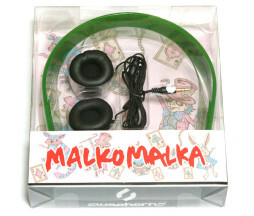 Funky over ear headphones in a cute green color, perfect for bringing a little quirkyness to your outfit while your listen to your tunes! A white flecked pattern is woven into the cloth which looks quite interesting compared to typical pin stripes. 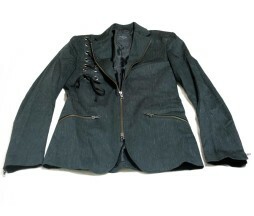 Metal grommets in the chest lace up for detail. 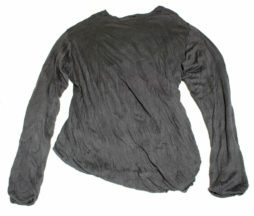 Features zippered sleeve openings and internal breast pockets. This item is used but shows no signs of wear.